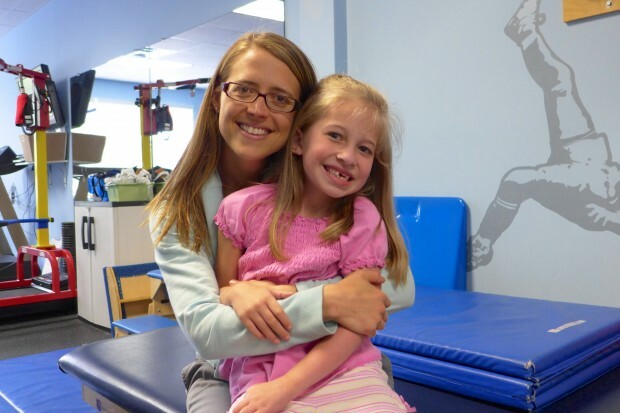 She’s everything a pediatric physical therapist should be. But do you know what makes her irreplaceable? The way she gives a hug. The way she laughs and smiles. The way her eyes are moved to tears. All the many ways that say she truly cares about the kids she treats. Her heart is in her work. That’s what makes her irreplaceable. When Betsy let us know that she would be moving out-of-state, we were selfishly quite sad. I explained to Gabby that she would be relocating far away where her husband got a new job. “You mean her brother?” Gabby corrected. I was amused. Gabby has failed to accept for some time that her favorite therapist actually lives a meaningful life outside of her office. I personally believe it is some kind of coping mechanism. So I once again reminded Gabby that Betsy is married and has a life. I explained that she is moving to God’s country, a very picturesque place full of natural beauty. I told her how much I thought Betsy would enjoy it there, because she’s a very active, outdoorsy person. I explained we would need to say goodbye and perhaps we could pick out a special going away gift. Gabby knew at once that we just HAD to get Betsy a picnic basket. I was floored. I was floored that Gabby had come up with something on her own that I thought would be so perfect. The perfect thing to say so long to someone who has been instrumental in advocating for and promoting Gabby’s independence. We feel so blessed that we’ve had the opportunity to work with Betsy over the last five years and we will miss her bunches. Selfishly we hate to see her go, but at the same time we are thrilled for her as she begins this new chapter. We wish you the very best, Betsy, as you embark on this wonderful adventure. This is a clip of Gabby doing her best “Princess Walk” for Betsy in which she tries to walk smoothly using a heel-to-toe pattern. If you think Gabby looks proud in this video, you should have seen Betsy’s face. Loved the way these two worked together. The Princess Walk from Kelly OMelia on Vimeo. Thank you Kelly for publishing such a worthy tribute! She is really THE best. I will forever be grateful to God for sending us to Betsy.